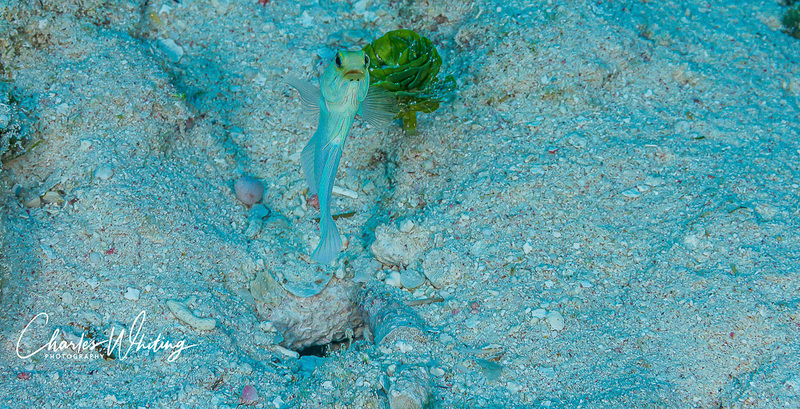 A Yellowhead Jawfish hovers above its burrow in the sea floor. Bloody Bay Wall, Little Cayman, Cayman Islands. Photo © copyright by Charles Whiting.